A fabulous Edwardian Brass Shaving Mirror with the original lacquered finish. 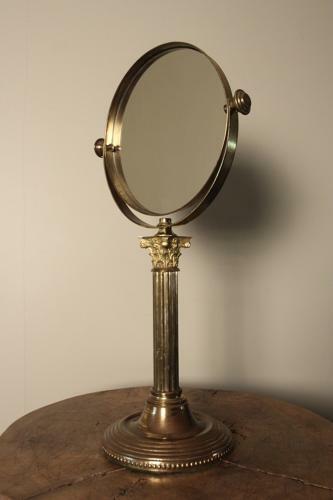 Having a Corinthian column stand on a circular base, the mirror in a tensioned brass surround with full adjustment. In great original condition throughout.